I realize after re-reading my last post several times that I need to add a bit to it. 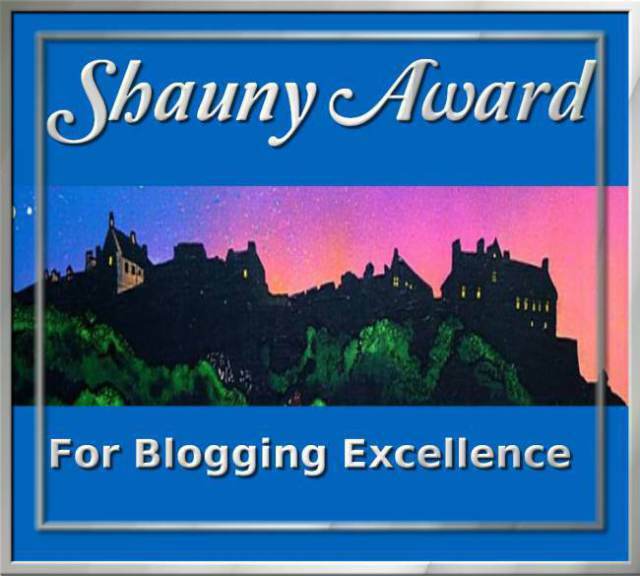 Mostly I want to say more about the bloggers I nominated for this award. I didn’t do a good enough job of praising them and I intend to try to remedy that now. I chose them all for one simple reason – they all have excellent blogs that I have read a lot of and they all embody the tenets of this award really well. I want to thank them for what they’ve done for me personally and for the WordPress community with their work. They all engage me in their own unique ways. Each one of these folks has the ability to put their thoughts into words or art on their blogs so that they call to me and draw me in to read more. I have been stimulated, enlivened, entertained and had my thoughts provoked in good ways. Some of these people are similar to me I think. Others are very different. But they all make me laugh or cry, or see the world in new ways or even confuse me and cause me to question my own views of reality and look at things anew. They all make me feel like I should honor them for their work. And I am so grateful that they are here to share their insights into the world with all of us. They’re the type of bloggers who makes this community so rich and varied and this really is a varied list of folks. From herbal insight infused with Natural wisdom to Photos that startle and amaze me. From original art that inspires me, to funny stories or takes on difficult subjects, or how to grow a good food garden and have fun with growing things. From just plain silliness and fun to deep insights into the human condition, they all thrill me with the way they work with such grace and ease. They all are unique and I hope that many people will visit their sites to see them and learn more about their worlds. In a word, I feel a Kinship with these people that transcends the ordinary and that’s such a treasure to me. I value these people so much and I hope you will too when you get to know them as I have. Many thanks to you all for your work and play with your blogs. You are very much appreciated! I chose these particular bloggers with care, because of all the things I just said, even tho I knew that some of them don’t accept awards and others may feel this to be a burden to them. I apologize if the latter is true. If you don’t want to accept or deal with this award I hope you choose to say Thanks but No thanks, and not be offended by my award to you. I may be making a fool of myself here but that’s OK. It’s more important to me that I try to explain myself and make any amends I need to make. I care deeply about these folks, especially a few of them, and I wouldn’t want to do anything that damaged or harmed our relationships. So if I’ve done that I apologize and hope you’ll still continue to come around and visit me and I’ll do the same with you, for sure. I hope I’ve accomplished what I set out to do in re-framing this last post some and offering more reasons why I did it the way I did. Life means taking risks and I’ve just taken one I know, but it’s alright. Relationships take work and we’ve all worked at these and I don’t want an award post to challenge those efforts on all our parts. Thank you for reading my words and I hope to see you soon. I’d like to thank Tamara of My Botanical Garden for my nomination for the Shauny Award. This is a new award and I’ll talk about it in a minute. But first a few words about Tamara. I’ve been following her blog for some time and I really enjoy it a lot. She has a philosophy I can really relate to in presenting her Botanical Garden. She sees them Everywhere and if it’s beautiful it’s a Garden to her. Or that’s how I see it in her posts at least. They are varied and beautiful and cover a wide range of plants as well as other topics. I highly recommend you visit her at: http://mybotanicalgarden.wordpress.com/ and see her work. I think you’ll be very impressed, as I am. I thank you so much for this award, Tamara, and wish you all the best in your future blogging endeavors. Show humanity, show love, be yourself, don’t be others, don’t gossip, and then share with 10 others. All my best to Shaun and Tamara and to the incredible bloggers I’ve named above.